[50% OFF] 2019 Athletic Palazzo Wide Leg Track Pants In LIGHT GRAY | ZAFUL ..
Add these wide leg track pants to any p.e kit for comfort whilst exercising. 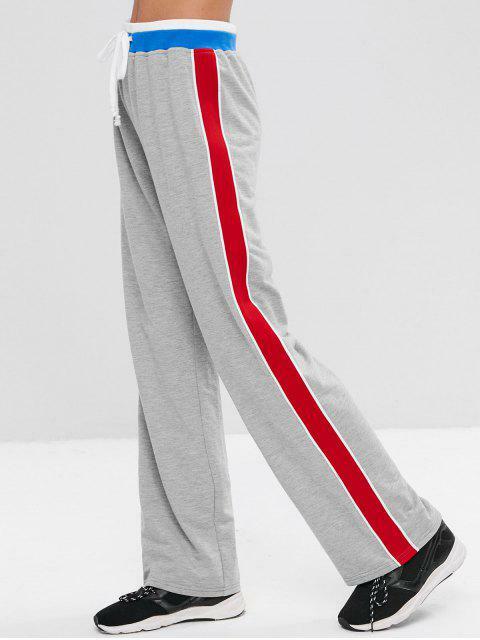 The tracksuit bottoms feature an elasticated waistband with an internal drawstring fastening, a high rise cut, and side striped tapes on these roomy legs. Pair with your tracksuit jacket and sneaker for your adventures.